If you deal with difficult participants in your training sessions,you know the destructive effect they can have on their ownlearning, as well as on the group's learning process. 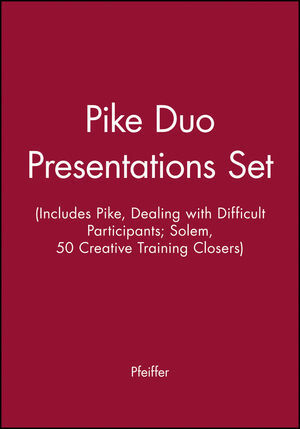 This helpfulguide book provides you with the knowledge and skills needed todeal with almost any difficult participant. 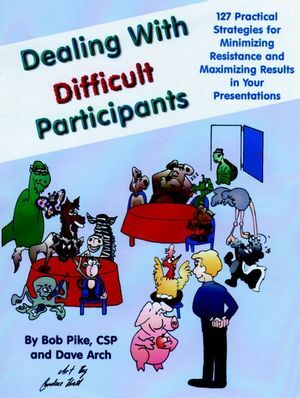 You'll learn first how to identify the types of difficultparticipants, and then how to decide which technique (127 in all)is best suited for dealing with that individual. Finally, you'lllearn the steps of each technique and how to achieve maximumresults. * The Domineering . . . and more! Don't let difficult participants get the best of you. Maximize thelearning potential in all your training sessions with Dealing withDifficult Participants! 50 Creative Training Closers: Innovative Ways to End Your Training with IMPACT! BOB PIKE, has developed and implemented training programs forbusiness, industry, government and the professions since 1969. Aspresident of Creative Training Techniques International, Inc., andpublisher of Creative Training Techniques Press, Bob leads sessionsover 150 days per year covering topics of leadership, attitudes,motivation, communication, decision-making, problem-solving,personal and organizational effectiveness, conflict managemtent,team-building, and managerial productivity. 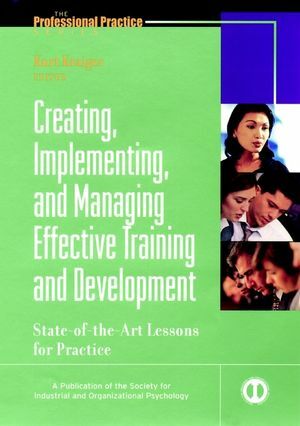 More than 60,000trainers have attAnded the Creative Training Techniques workshop.As a consultant, Bob has worked with such organizations as Pfizer,UpJohn, Caesar Boardwalk Regency, Exhibitor Magazine, HallmarkCards, and IBM.Over the years Bob has contributed to magazines likeTraining, The Personal Administrator and The Self-DevelopmentJournal. He is editor of the Creative Training TechniquesNewsletter and is author of The Creative Training TechniquesHandbook and Improving Managerial Productivity. DAVE ARCH is asenior trainer for Bob Pike's Creative Training TechniquesInternational, Inc. 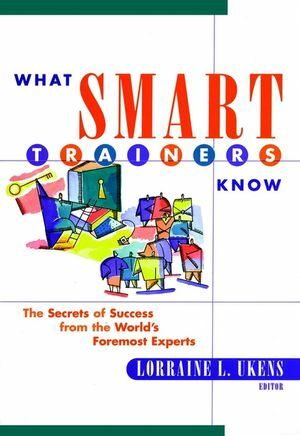 He has authored all three books in the Tricksfor Trainers Resource Library including Tricks for Trainers, VolumeI & II as well as First Impressions/Lasting Impressions. Inaddition, Dave travels for Creative Training Techniques to overtwenty cities in the United States each year presenting theseminar, Techniques and Tricks. For two days he leads trainersthrough an experience of 119 attention management techniques asfound in his books.Dave has literally pioneered the use of magic intraining. Since 1982, magic has proven itself an effectivecommunication tool for groups as diverse as hospital CEOs to salesrepresentatives to banking administrators. Combining a ten-yearbackground in personal and family counseling with a professionalexpertise in magic, Dave travels from his home in Omaha, Nebraska,to present his unique presentations before some 25,000 people eachyear in both corporate and conference settings. What (or Who) Is a Difficult Participant?